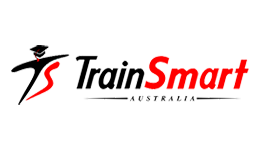 Train hard, train well, train smart with TrainSmart Australia! With a range of online, on-campus and blended learning courses in community services, beauty, IT, business and more, TrainSmart Australia has an outstanding reputation for getting countless students recognised in their field and closer to conquering their career goals. Why study with TrainSmart Australia? Their team of trainers have been handpicked and offer a wealth of experience and industry knowledge, which they will pass down to you. TrainSmart also has strong industry ties and partners in various business sectors, which means more employment prospects for their graduates. Go on, join thousands of happy students of have studied with TrainSmart Australia and enquire about their accredited courses today! Get ready for a challenging career in the ever-evolving field of IT with this Diploma of Information Technology (ICT50115) from TrainSmart Australia. Master the tech skills you need to get ahead in your IT career with this online Diploma of Information Technology Networking (ICT50415) from TrainSmart Australia. Get practical, hands-on training in a wide range of make-up techniques for theatre, film and television with this Diploma of Screen and Media (Specialist Make-up Services) (CUA51015) from TrainSmart Australia.